Categories: Windows Made-to-order (Wide Range of Designs), Beach & Ocean, Flowers & Fruit, Geometric & Clear Beveled Glass. 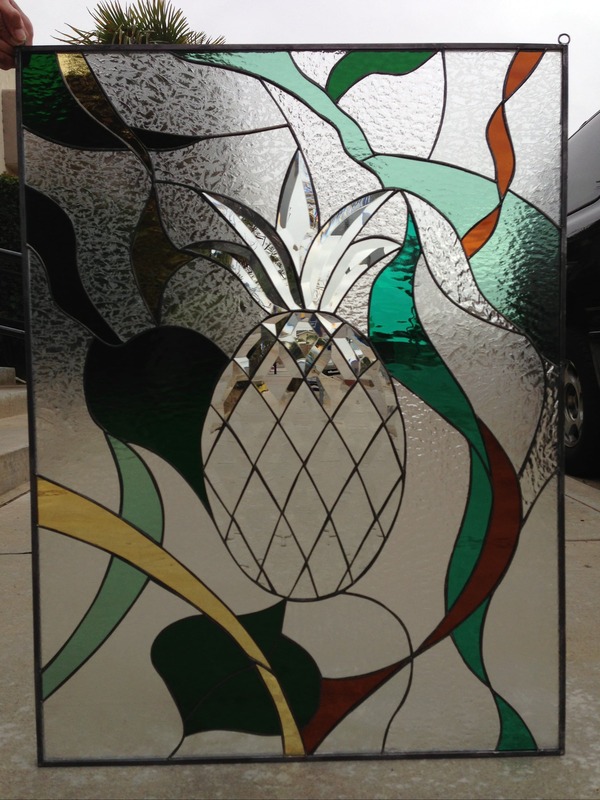 This beautiful clear glass pineapple is framed with classic beveled diamonds & abstract colored accents. 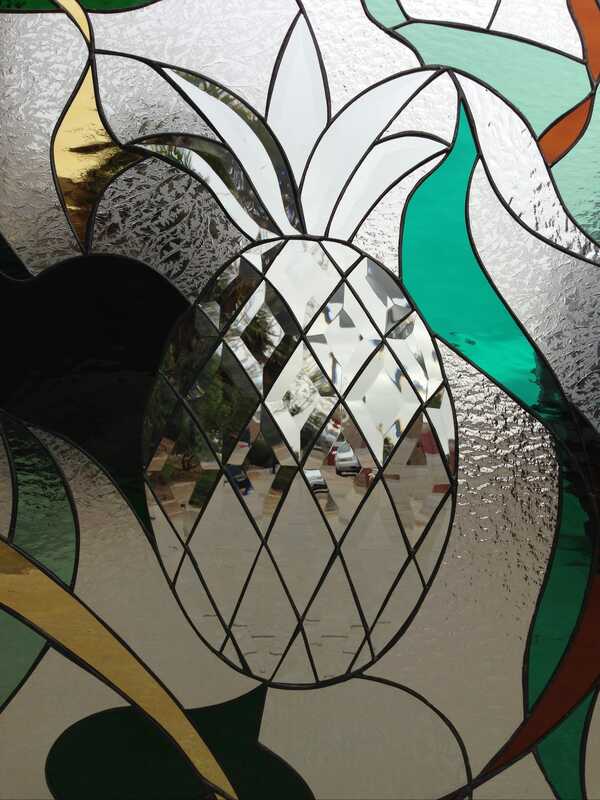 All crafted with custom hand beveled glass made within our studio.